Shop online for 12 vallejo airbrushes at discounts up to 40%. This is the 17ml Dropper Bottle (10 Pack) from Vallejo Paints. Collection of 8 color sets in 17ml Bottles of Game Color for painting models and miniatures. 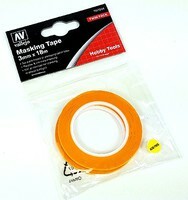 Each one of these sets has a selection of special colors for painting figures, etc. 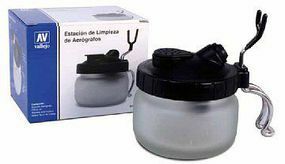 Vallejo Airbrush Cleaning Pot, with 250ml pot, airbrush holder and filter. 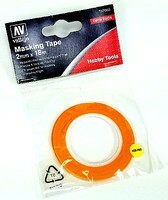 Spare filters are also included. This is the 35ml Flip-Top Mixing Bottle from Vallejo Paints. 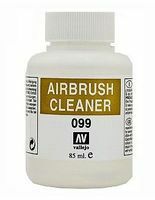 Airbrush Cleaner in 85ml Bottles from Vallejo. Airbrush Cleaner is an indispensable product for cleaning the airbrush between colors. It not only eliminates rests of the color used, but at the same time lubricates the interior of the airbrush without damaging the mechanism. 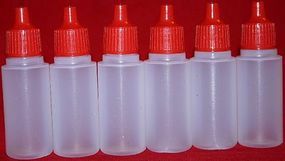 This is the Auxiliary Accessory Set (8 Different 17ml Bottles) from Vallejo.